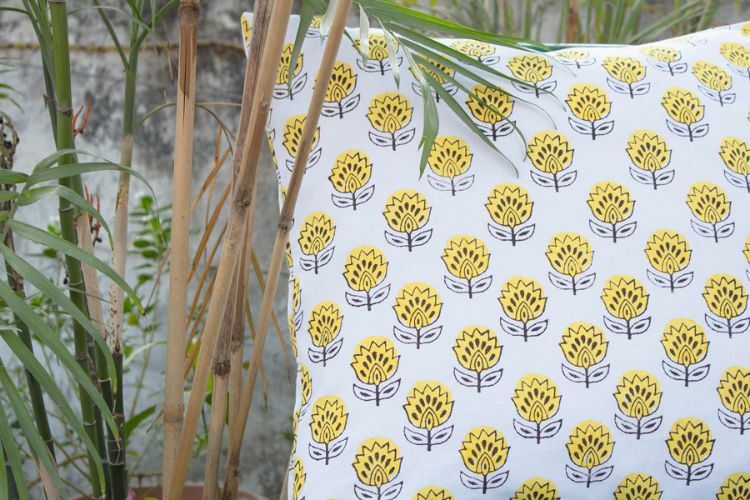 Organic cotton, printed cushion cover. This has been block printed in the Rehab and Training Unit of Hubli Hospital for the Handicapped, S.India. Men and women with disabilities or affected by leprosy are trained and employed in the unit. The colours are water based and therefore environmentally sound.